SEGRO has signed a 25 year lease with Maritime Transport, the market leading multimodal logistics company, who will operate the Strategic Rail Freight Interchange (SRFI) at SEGRO Logistics Park East Midlands Gateway (SLP-EMG) and will base their Rail Headquarters at the site. The 22.5 acre rail terminal will be capable of handling up to sixteen 775m-long freight trains daily and will provide storage capacity for over 5,000 TEU (the measurement of capacity of container terminals) – which is equal to approximately 45,000 pallets of cargo. A purpose built 20,000 sq ft office will become the Rail Headquarters under the “Maritime Intermodal” division and will house operations staff, state-of-the-art training facilities and parking for a fleet of up to 100 trucks. Completion of the rail freight terminal is expected in late 2019 and the office element in Summer 2020. This is the first rail freight interchange in the East Midlands and will connect to the Castle Donnington freight line, providing direct access to the UK’s network of Rail Freight Interchanges and all major UK Ports. Andrew Pilsworth, SEGRO Business Unit Director National Logistics, said: “We are thrilled to have signed Maritime Transport as the rail freight operator at SEGRO Logistics Park East Midlands Gateway and to be the home for their Rail HQ operations. As well as being regarded by the Government as nationally important, Strategic Rail Freight Interchanges bring tangible benefits to local communities – reducing traffic congestion on surrounding roads and improving levels of air quality. 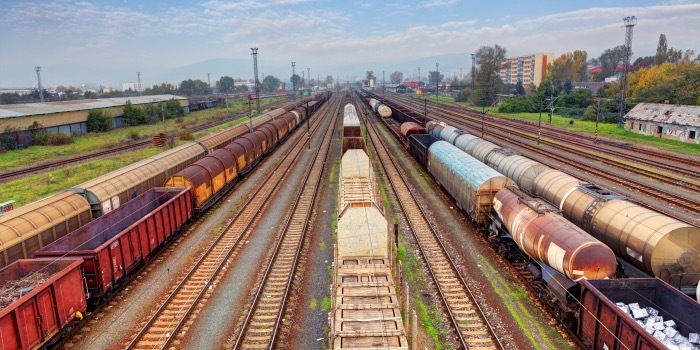 Rail freight carries more than £30bn of goods around Britain each year and is more carbon efficient than road freight, with each tonne of freight transported by rail cutting carbon emissions by 76 percent compared with road haulage, the company said in a statement. SLP-EMG has planning consent for up to 6,000,000 sq ft of logistics accommodation – a third of which is already under contract. The site is strategically located in the near centre of England with Nottingham 13 miles to the north-east, Leicester 20 miles to the south and Derby 14 miles to the north west. As well as providing critical infrastructure for the logistics supply chain, the development will create 7,250 jobs, 900 construction jobs and 3,000 indirect jobs.